Considered one of the greatest cellists in history, Pablo Casals (1876-1973) was a lifelong advocate for human rights. 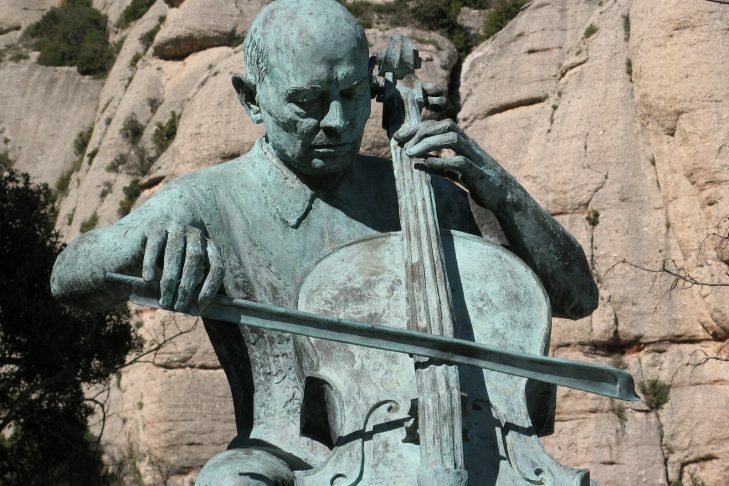 When the fascist Franco came to power in Spain, Casals went into exile and declared that he would not play music during Franco’s rule. In exile, Casals developed a fascinating relationship with the Jewish community and Israel. Visiting Harvard scholar Pedro Reina Pérez, an award-winning historian, will share his deep interest in Casals’ relationship with the Jewish community. Adding to the evening, Israeli-Mexican cellist Michal Shein of Boston’s Discovery Ensemble will perform Casals’ music and participate in the conversation.